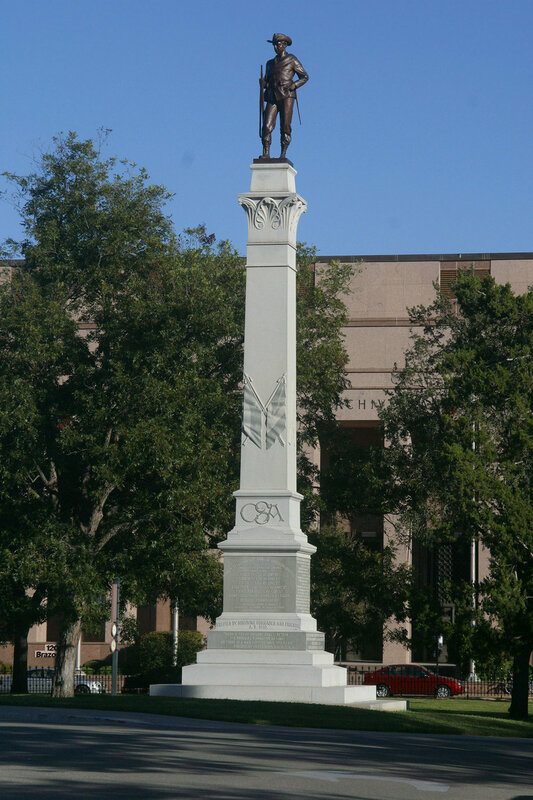 The Texas Cowboy Monument, a life-size depiction of a cowboy riding a horse, is a tribute to the “rough and romantic riders of the range." It was sculpted by Constance Whitney Warren in the early 1900s. The Texas State Preservation Board contracted B.R. 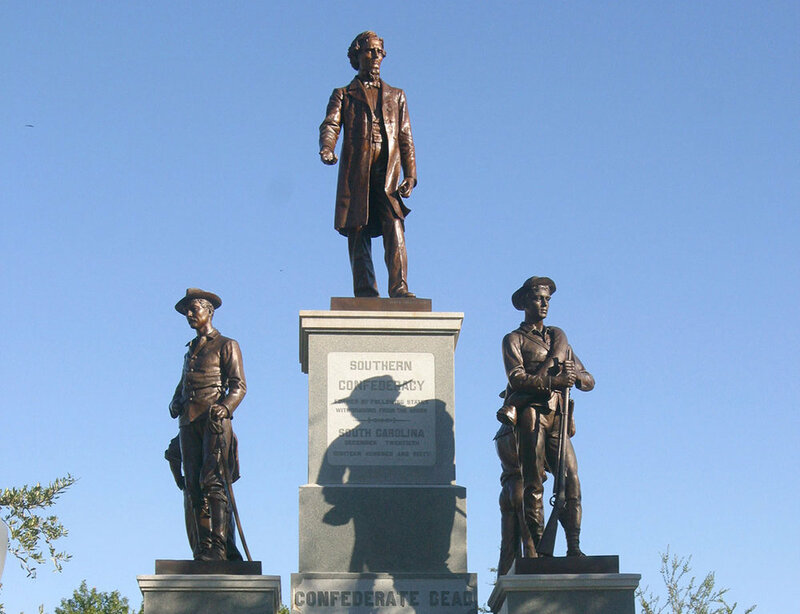 Howard to assess, conserve, and train staff members to perform ongoing annual maintenance on the sculpture. 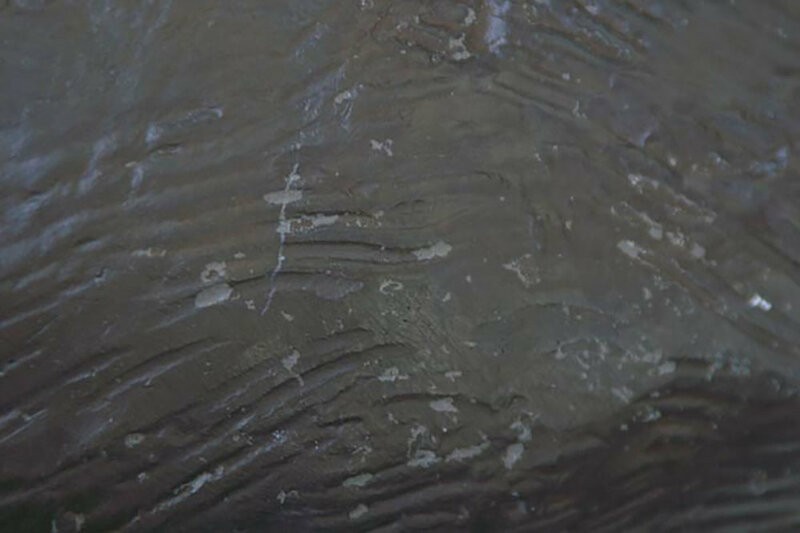 The bronze sculpture was found to be in excellent condition, but the protective lacquer coating was beginning to deteriorate with continual exposure to the extreme Texas climate. 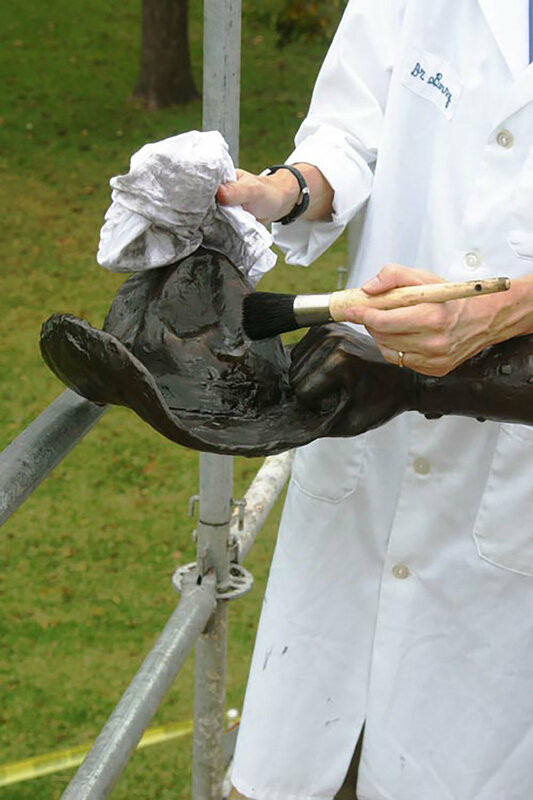 The failing lacquer coating was removed and the sculpture was thoroughly cleaned multiple times before new lacquer coatings were applied to the surface. After the lacquer had fully cured, an additional cleaning occurred which was followed by two applications of cold wax. The sculpture was then buffed to finish. The maintenance staff was present and assisted in the waxing process. A detailed report was provided and a maintenance plan was created and presented to the preservation board.